Are Expensive Memory Cards and Readers Really Worth the Price? Video of Are Expensive Memory Cards Really Worth It? I've always purchased medium-speed SanDisk memory cards and the cheapest USB 3.1 card readers for my computer. Have I been missing out? Are these ultra-expensive cards and readers actually worth it? Let's find out. ProGrade recently sent me two 256 GB cards that cost a staggering $380 each. They also sent me an $80 ProGrade card reader. Our current go-to cards are the SanDisk 256 GB 95 MB/s maximum write speed which I purchased for around $95. I certainly assumed that the ProGrade cards, that are almost four times the price, would be faster, but I also thought that all USB 3.1 card readers were the same. Boy, was I wrong. When I set the ProGrade card reader on my computer tower I was excited to see that a magnet held it securely in place. I loved this feature but I still expected the performance of the reader to be identical to my Transcend reader. I was very wrong. To my surprise, the ProGrade card reader was significantly faster than the Transcend card reader with both the cheaper SanDisk card and the ProGrade card. Both the Transcend card reader and my Lexar card reader transfer at wildly inconsistent speeds but I always assumed that was normal. The ProGrade card reader had a faster maximum top transfer speed that was more consistent even with cheap cards. You can even transfer two cards at once without losing speed. $80 for this kind of performance boost is totally justifiable and I would recommend that every photographer buy this card reader. When buying a memory card, you should only care about three numbers: the capacity, the maximum read speed, and minimum write speed. We all know what the capacity is (we almost exclusively use 256 GB cards now) but very few photographers know about the other two. Maximum read speed is usually printed on the front of a card. These ProGrade cards say "250 MB/s." This is the theoretical speed that you should be able to transfer files from the card to your computer. The other important number is the minimum write speed. This number is shown on memory cards with the letter "V" in front of it. My SanDisk card is a V30 card and these ProGrade cards are V90. Some cameras require extremely fast cards to work properly and this is the number to look for. Our GH5s require at least a V60 (60 MB/s minimum write speed) to shoot in 10-bit color. With a slower card, we cannot use this feature. When comparing the speed of the SanDisk V30 and ProGrade V90 cards, the decision to upgrade becomes more difficult because the cost difference is so large. Yes, the ProGrade V90 cards are two to three times faster than SanDisk V30 cards but they cost almost four times as much. Some still cameras will perform better when rapid firing with raw files, but for the average shooter, they probably don't need to spend this much on a memory card. But, even though you don't need it, you may want it. In our "read" speed tests, the ProGrade card and reader were able to transfer footage six times faster than the cheaper option. If you're transferring a ton of footage, this could literally save you hours. Check out our exact test results below transferring 1.5 GB of data. 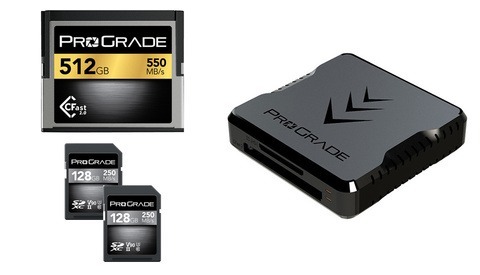 I'm always excited to find a product that performs better than I expected and the ProGrade card reader was far better than the two memory card readers that I currently own. At $80 price tag seemed expensive at first, but now it seems like a bargain. Don't wait, buy it. 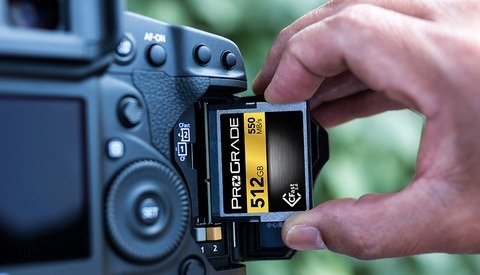 The ProGrade V90 memory cards are amazing but they are also super expensive. If you can't justify the price right now, I have good news, ProGrade also sells V60 cards for less than half the price. You can buy these for just a few dollars more than a SanDisk V30 cards and get double the performance. In the next year or two, V90 cards will become more affordable, but if you want the best of the best today, you're going to pay handsomely for it. I use a.usb cable from my camera to computer, and download directly from the camera, I also use a 110 volt.power supply which saves my camera batteries. Why anyone would put all their eggs in one basket is beyond me. If the card goes bad and is near capacity you have lost hours of work and images. I am leary of using 64gb cards. 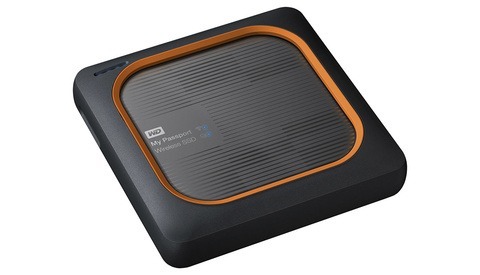 Why would anyone want an terabyte card? On the plus side the 32gb cards keep getting cheaper. I'm convinced that human error is far more abundant than total memory card failure. I've certainly had files corrupt but I've never seen an entire card corrupt. Funny story; my wife and I were just traveling with some extremely important documents. We parked the car to go eat and she didn't feel comfortable leaving the documents in the car so she brought them inside. She ended up leaving the documents laying on the table at the restaurant and it took us an hour to realize it. I agree human error is a factor. With that in mind who wants to risk all the shots from a vacation of a lifetime or a special event and have all lost on a super card because they did not want to swap cards out when one is full? I will not risk that and stick with multiple smaller cards so all is not lost in that rare event. When shooting 4k video or 40+ megapixels, the number of files compared to the number of files held 10 years ago isn't really that much different. Back then you could get away with a 16-32 GB card but now you need a 128 - 256 card. I don't know that we are actually risking any more files than before, it's just that the files are way larger in size because of the increased quality. Maybe you don't want to have to deal with swapping cards in the middle of a shoot or try to manage a bunch of small cards that are easily misplaced. Using multiple small cards also puts more wear and tear on you camera's memory card slot. I think the size of your memory cards can be effectively paired with the camera and format you are shooting. For example, I shoot a 12MP Nikon D700 with only one CF card slot. For my purposes, I find that 32GB CF cards are plenty large for me as I can get about 1000 images in 14 bit RAW on a single card. This is perfect for a weekend of shooting my kids' soccer or basketball games. For a week-long vacation, I usually end up going through 2 cards. If I back up my cards to HDD right after shooting, I don't feel like I'm at risk of losing too much. I have also done some shooting with a 24MP D750 and, it requires 64GB SD cards to fit the same number of images per card, though I do get a direct backup by shooting RAW onto both cards simultaneously. If I was shooting with a 45MP D850 I might still use 64GB cards, but perhaps 128GB to hold those huge files. I don't shoot video, so I'm not accumulating footage but I don't think I would want to rely on a single huge 256GB memory card, nor would I want to contend with a multitude of smaller 8GB or 16GB cards. If you happened to shoot 4K on 5d4, a 64GB card will give you less then half hour of footage. So you’ll need ALOT of baskets for a day’s footage. And people said the same thing when we got those whopping big 2GB cards, and they’ll keep repeating it whenever technology advances and we get even bigger cards. Not being funny. Nope! I won't put anything magnetized near my office equipment. I realize that the magnet might not be super strong, but I have hard drives around still, and they don't like magnets. That's some finger pinching opportunity right there! My NZXT internal USB hub is magnetically stuck above the HDDs inside my PC (Damn close to your recent i9 build, Lee Morris) will no ill effects so far. I've also lost two SD cards since 2005; one went through wash, hot cycle, and one when my black lab crunched it. It was a Delkin Black, and still read once I bent the pins back. Magnetic fields drop off following the rule of squares, so a little extra distance can have a big reduction in field strength. Also, lets not forget that hard drives have some seriously powerful magnets inside them, as an integral part of their mechanism. Memory cards are pretty reliable. I buy the cards recommended for my gear. Nothing more, nothing less. The only memory card failure I've ever experienced in the past 17 years was due to my dog biting into an SD card. Never once in the field, or on a job, or anywhere else has a card corrupted or have I lost photographs due to a card acting up. I've had more lens failures. I've never experienced a problem with my work flow or actual work that I would attribute to a memory card being too slow. Don't have a single point of failure and you'll be fine. In my whole "career" I only once had a MicroSD card fail on me in my GoPro. To be fair, I bought it for 5 bucks in a shop in a small Thai village after way underestimating how much I was going to be recording. I actually still have some of the 256MB SD-cards and 1 GB CompactFlash cards that went into my first bridge and dSLR cameras. XQD all the way now. 64GB max, hardly ever fill one before dumping it to laptop and backup SSD. SD cards have only died on me (2 x) because of my fat fingers. 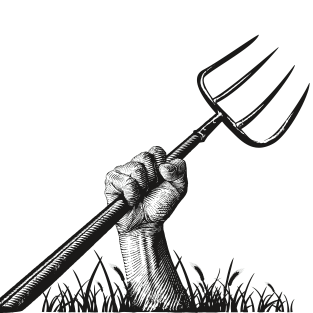 I just want a single standard. All my cameras take SD and my laptops have SD slots. I hear you, takes me back to the days of shift from CF to SD. Multi-reader always needed. Now I’m just on XQD so one reader dongle needed, with laptops having ever decreasing connectivity ports, even SD will need an extra reader. Saying that, I took my Fujifilm S3pro for a spin last week, CF card.. had to dig about for a reader. FireWire connected.. argh. There is no way you could have converted to "just" XQD. What if you want to use a Mavic or other drone? What about another camera that doesn't take XQD? What about your servers and security cameras? Unless you just have one camera and no other technology, I find it hard to believe that you could completely convert over to that format. Working cameras. As in, DLSR and mirrorless. Sorry, I should have been more specific. Stuff I rely on for the daily working stuff. GoPro and drone, indeed micro SD. Long term time-lapse cameras I build for clients. USB drive and micro SD backup. The article was about SD. I still have them, but not in any cameras I work with. Am I too late for the party? One thing the replies seem to miss is that this is PRO Level equipment Lee Morris is talking about and the review he is given seems to be addressing professional photographers. Many of you who have replied are talking about shooting with 12 or 24 MP cameras at your child's game, or some family gathering. Where shooting 100 to maybe even 200 photographs is good. Now I don't know what cameras Lee Morris uses and can't speak on the MP of each. However, from his post here and other channels that I have followed, he does professional portraits, and travel photography where 200 shots is a good starting point for a customer's portrait and in a travel situation, a thousand shots or more might be right for an outing. If shooting in RAW format I can easily see where this large format card and fast card reader might be worth the investment. My only concern over the entire review is that Lee Morris stated that these items were sent to him, not purchased. As these items are "gifted" for review, could this have any impact on the review itself? Much like a doctor receiving gifts from pharmaceutical companies. I would hope not and I personally don't think it has, but in all fairness I do have to bring up the possibility. Lee Morris, if you do read this I do hope you understand. We shoot 4K video with Panasonic GH5 cameras and photos with the Nikon D850 and Sony a7r 3 (I believe is what he recently bought). A professional always faces a cost/profit balance. In my work, I need a LOT of cards available just to be sure I don't have to overwrite a card before I've delivered that job. So a huge cost difference can make a difference if it's not, in fact, earning me a penny extra profit. And these cards wouldn't. There was nothing said that would indicate I'd be less likely to lose one of these cards, or that they are any less prone to physical damage...or even that they're inherently more reliable. My current cards already write faster than my cameras, and the extra bit of read speed is easily managed...a percentage faster is not going to make me more money or even get me to bed earlier. And I learned back when I bought a bunch of very expensive large-capacity Smart Media cards that trying to future proof storage is foolhardy. By the time you actually need your future proofing, storage has become either dirt cheap or the format has been superseded.